An archipelago located in the South Atlantic, the Falkland Islands are also referred to as Malvinas. These small pieces of land a few kilometres from Argentina and Antarctica are ideal for stays under the sun. 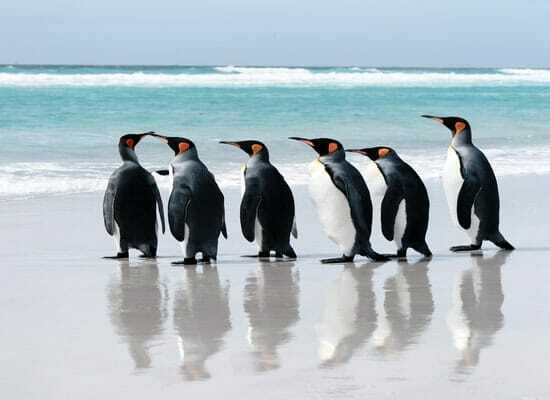 You will have the choice of accommodation on its two main islands: West Falkland and East Falkland. For nature lovers, Malvinas proves a small paradise on earth with its large numbers of fauna and flora. It is not uncommon to encounter albatrosses, penguins, sea lions or cormorants. For those who wish to glimpse a sight of more wildlife, make your way to the small island of Sea Lion, the territory of the elephant seal. For the discovery of many bird species, New Island is favoured by visitors. Last Updated: May 01, 2018 10:55 ESTThe Health tab was updated - travel health information (Public Health Agency of Canada). Medical care is satisfactory in the Falkland Islands. However, it is important that you update your vaccinations before leaving, especially if you plan to travel with children. You are limited to one well-equipped hospital located in Stanley. You will be able to locate common and specific medication in the Falkland Islands, as there are many pharmacies distributed across the region. However, it is always safer to travel with a first aid kit. For emergency services, dial 999. As a result, medical evacuation by plane will be necessary in the event of serious medical conditions. Are The Falkland Islands Safe for Travel? Visit the link below to get tips on trekking. Do I Need a Visa to Visit The Falkland Islands? If you’re staying under 4 months, then only a passport is required to enter the Falkland Islands. Your passport must be valid for the duration of your trip. Although, unrequired for tourism purposes, a visa will be required for business trips. Please note that this is the website for the Canadian High Commission in the United Kingdoms. There is no Canadian government office in the Falkland Islands.